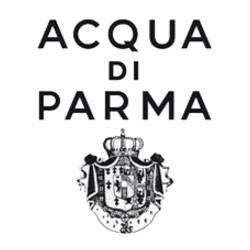 Acqua Di Parma Profumo Perfume by Acqua Di Parma, This venerable italian brand created fragrances for cary grant, david niven, ava gardner and audrey hepburn . This chypre fragrance for woman is a reformulation of the original version that was introduced in 1930. It is a truly elegant and sophisticated perfume. This fragrance re-launched in 2000 was first created in 1930. Resting on a patchouli, and oakmoss base are notes of jasmine, ylang-ylang, iris and rose. It is as chic as a little black dress with pearls. All products are original, authentic name brands. We do not sell knockoffs or imitations. Since the 1930s, this Eau de Cologne or ” Colonia ” has become a real symbol of Italian elegance. Its success has contributed to the international development of the brand, particularly in the United States. Worn since the 1950s by stars like Humphrey Bogart, Cary Grant or Ava Gardner, today, the ” Colonia ” has a faithful following that includes Kevin Costner, Woody Allen and Sharon Stone. In 1993, the family company was taken over by Diego Della Valle, Luca Di Montezemolo and Paolo Borgomanero, respectively founders or CEOs of Tod’s, Ferrari and La Perla. The three buyers committed to broaden the Acqua di Parma range by creating new lines: Home Fragrance (pots-pourris, incense, candles? ), Home Collection (household linen), Travel Collection (leather accessories), as well as Blu Mediterraneo, an aromatherapy line. In search of a new partner to bring the necessary funding and know-how to develop the brand internationally, they found the ideal partner in LVMH. In October 2001, the Group acquired 50% of Acqua di Parma capital and Parfums Christian Dior was entrusted with the license for the Italian company’s perfumes.